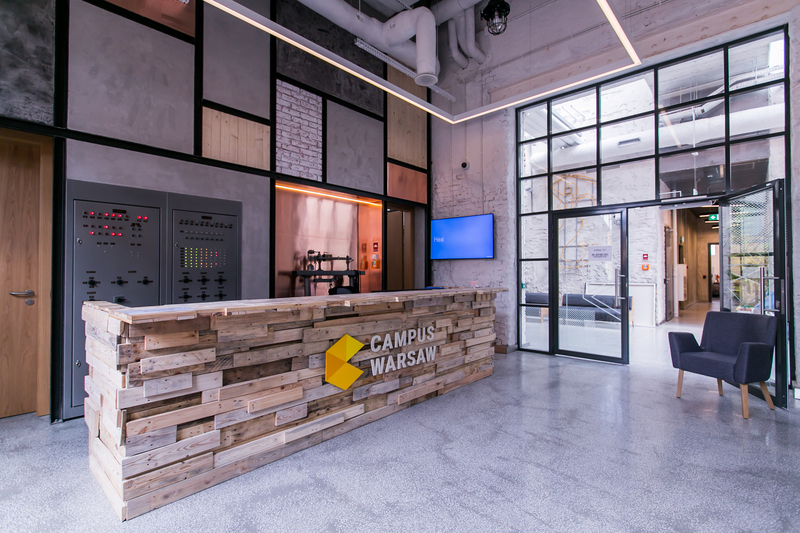 Due to dynamic development, Campus Warsaw has changed its current office location within the complex of Centrum Praskie Koneser located at Ząbkowska Street in Old Praga District. The new office provides nearly 2,500 sq. m. of modern office space, created for starting and developing business operations in an environment allowing free exchange of knowledge, information and inspiration under the watchful eye of the world’s largest technology company. 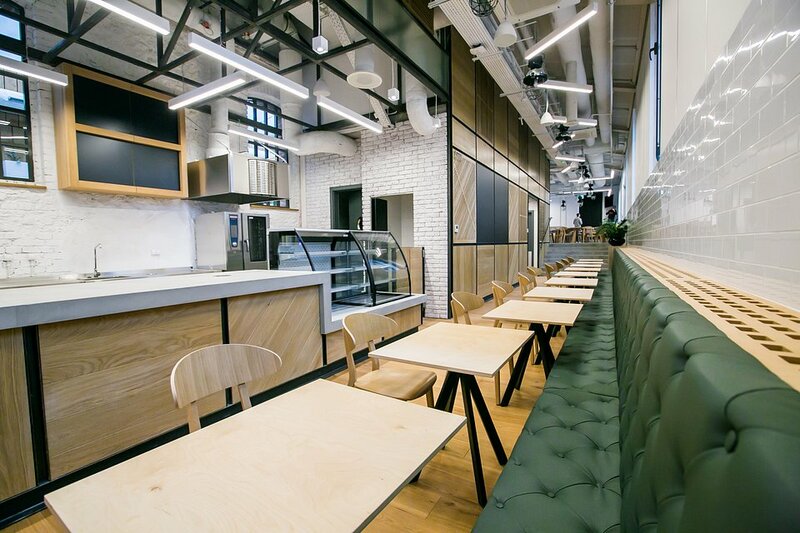 The project was carried out in cooperation with the real estate advisory agency CBRE (project management), Massive Design (architectural project/design), Dyskret (fit-out/construction works) and Arup (building services design). The Google Campus initiative is currently located in 6 cities worldwide: Warsaw, London, Madrid, Tel Aviv, Seoul, Sao Paulo. 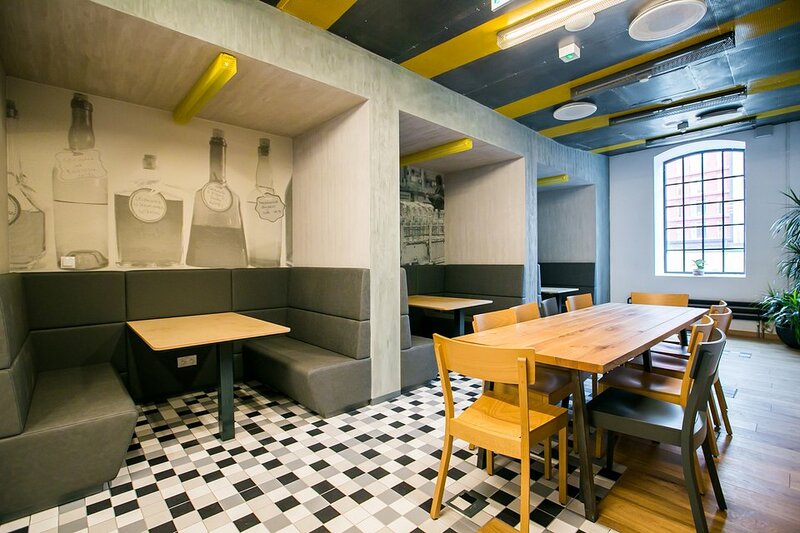 This unique in the CEE region type of project assumes the creation of a modern entrepreneurship incubator supporting the dynamically developing business startups. 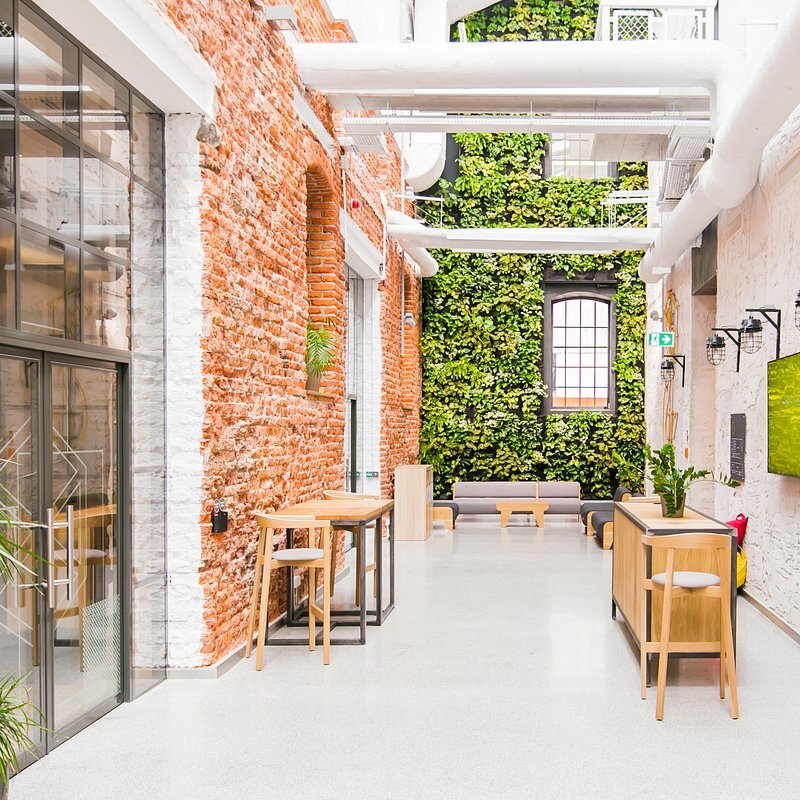 Campus Warsaw consists of 3 floors, which combine different types of workplaces – coworking office space, social zones, meeting rooms, but also quiet areas created for people needing space to work in isolation. 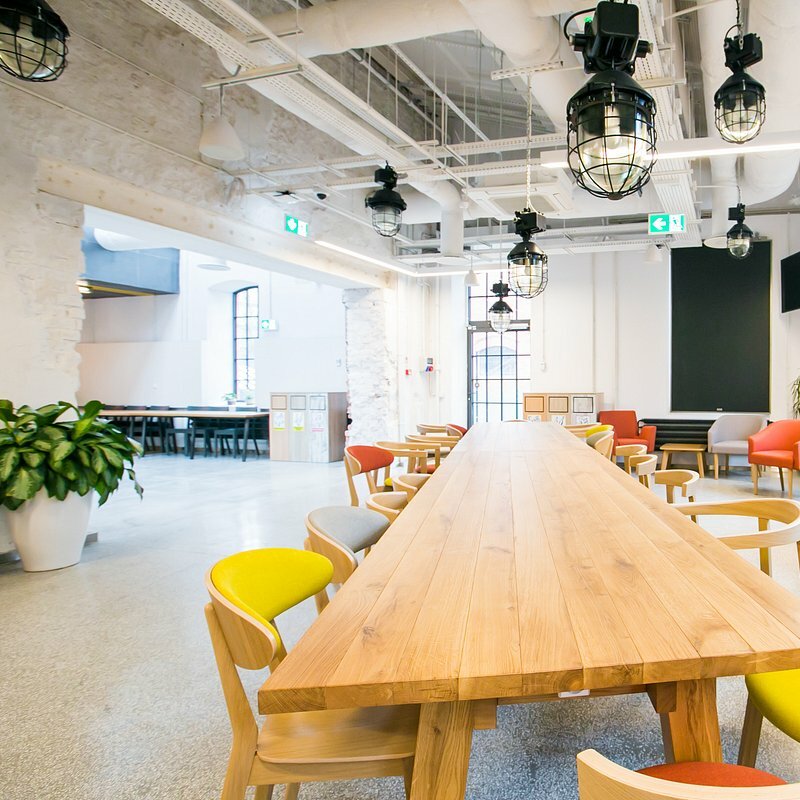 The project is based on the idea of agile type of office, therefore, besides 140 traditional desks, the premises also provide couches, comfortable armchairs, as well as tables in the cafeteria/event area, where 180 people may work at the same time. 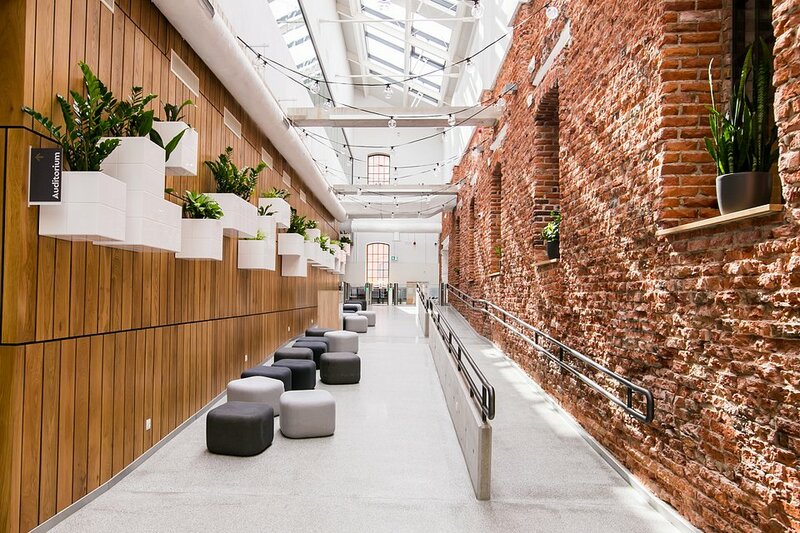 From the preparation of the initial space plan, to the conceptual design and preparation of the working drawings, through to project supervision, for Campus Warsaw, Massive Design created an inspiring and nurturing informal space for networking as well as a more formal collaborative work environment in the fully renovated historic building. Places such as Campus Warsaw contribute to the development of the Polish innovative economy and the worldwide promotion of innovative technology solutions. 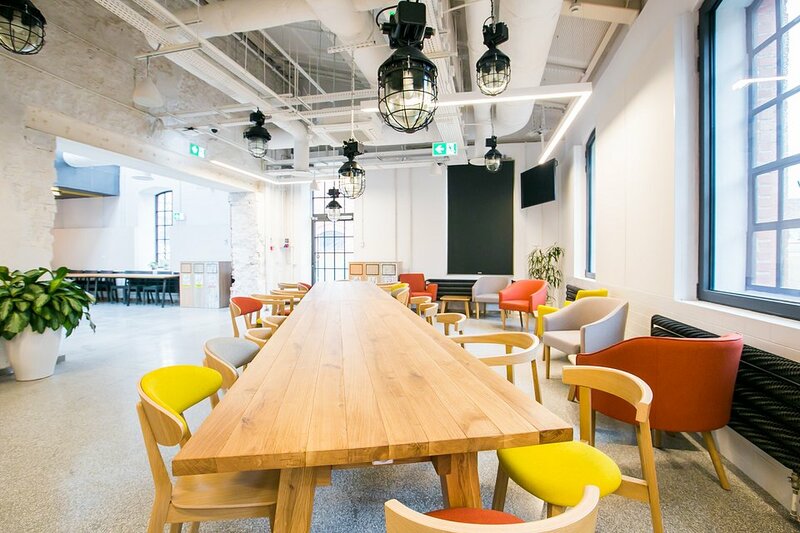 These types of coworking projects provide space for creativity, stimulate bold ideas and give the opportunity to exchange knowledge and experience with the leading local and global companies. The Polish economy is strong and Warsaw with its big business potential is an obvious first choice location for these types of projects. 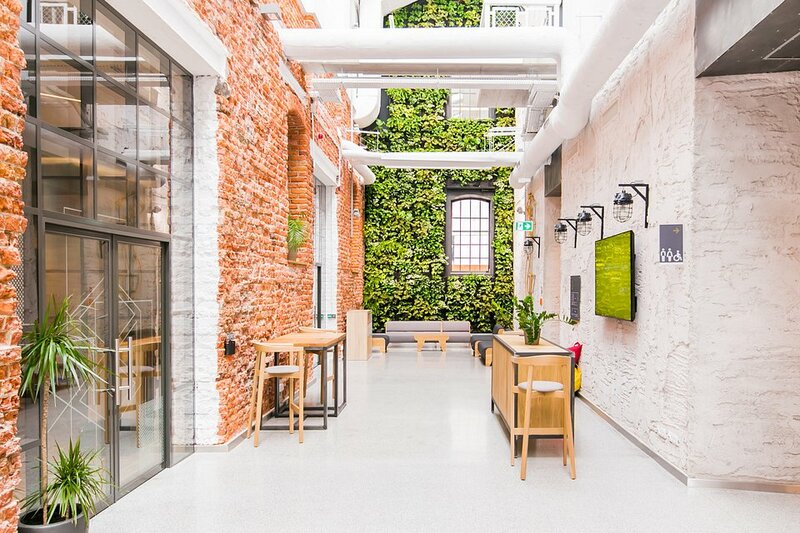 Praga is an ideal place for locating a startup business, which for obvious reasons needs efficient cost optimization. 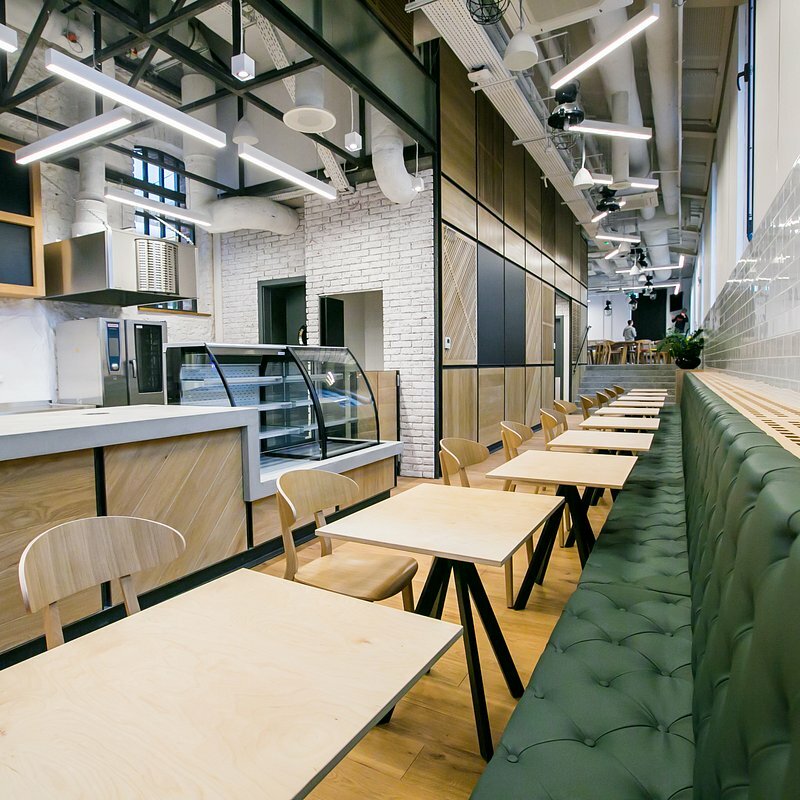 Dyskret served as the General Contractor of fit-out works in the Campus Warsaw project. Within the investment execution scope, Dyskret carried out comprehensive construction and installation works as well as finishing and furnishing of the facility. Arup was acting on the project as Google’s consultant, providing the building services design for this unique scheme. 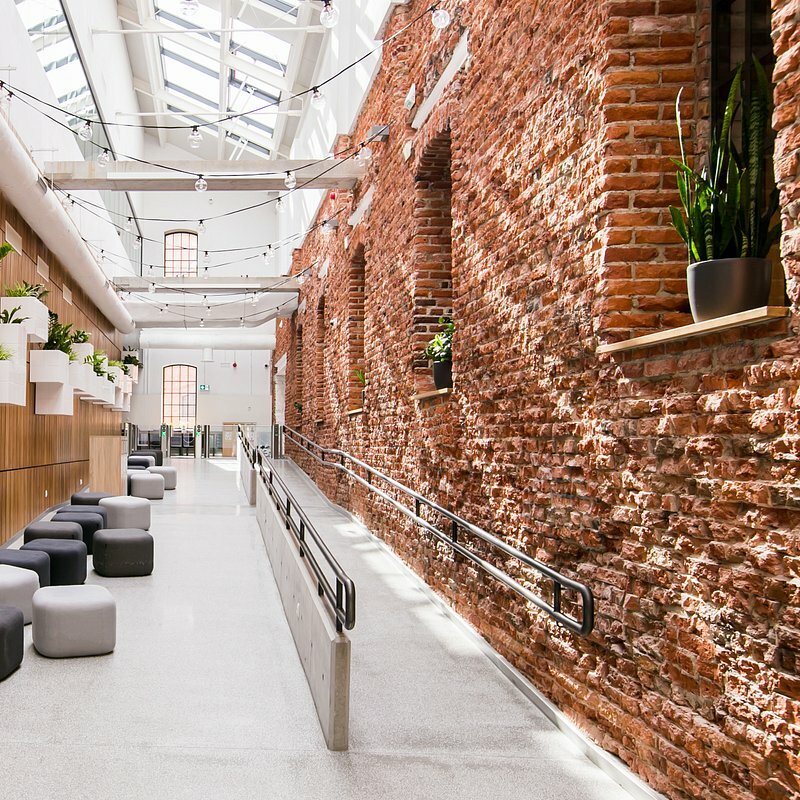 The project goals were to create flexible, adaptive to changes, comfortable and user-friendly office areas and mechanical, electrical and public health services were designed to meet these targets. 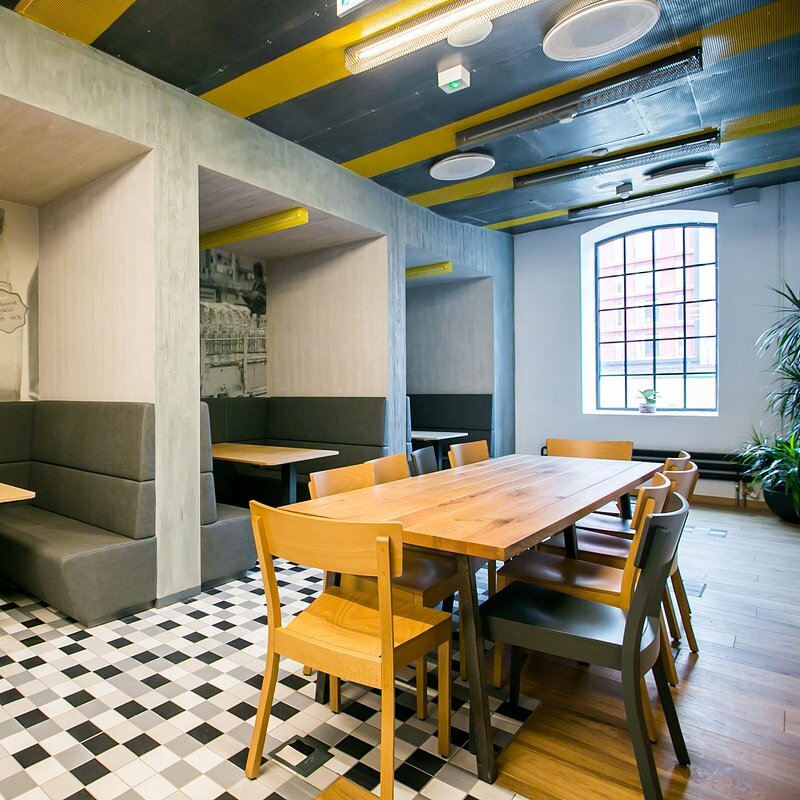 We delivered MEP documentation at all stages, from concept design, through the design development stage, up to the execution design. Moreover, we were supervising the works on site and were supporting the Client during handover and commissioning stages. 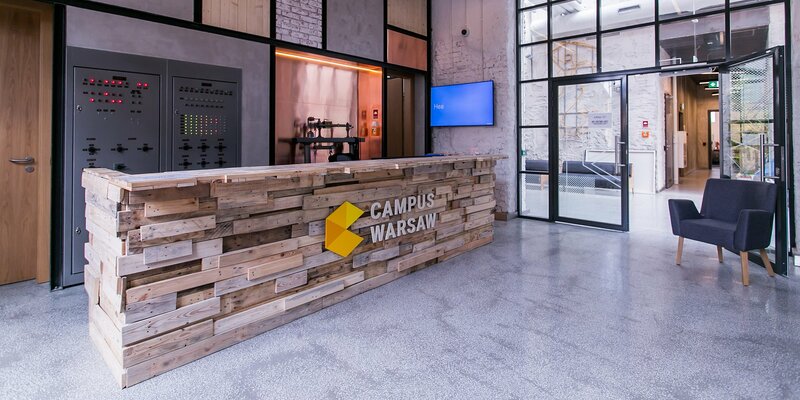 Since the opening of Campus Warsaw in November 2015, 600 events were organized for more than 21,000 people, and Google employees carried out mentoring sessions of 120 hours for startup businesses. 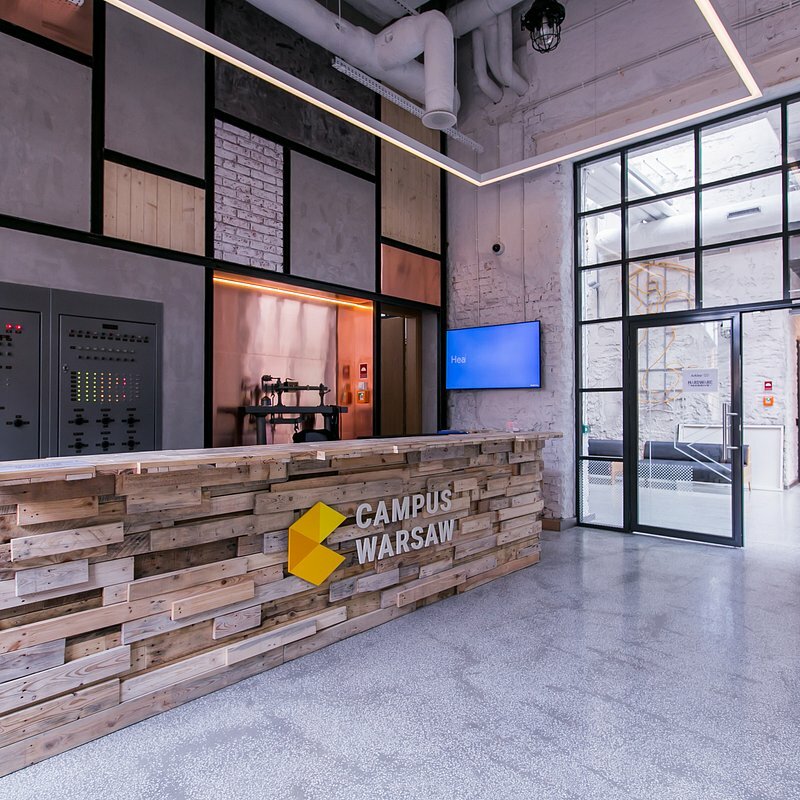 According to Google research, startup businesses gathered in Campus Warsaw have created more than 621 work places and have gathered funds exceeding PLN 22.6 million. Registration in Campus is free of charge, and its members have limitless access to workshops and meetings organized by Google.